As a publicly funded institution, Mercy Hospital was required to disclose its revenues and expenditures. 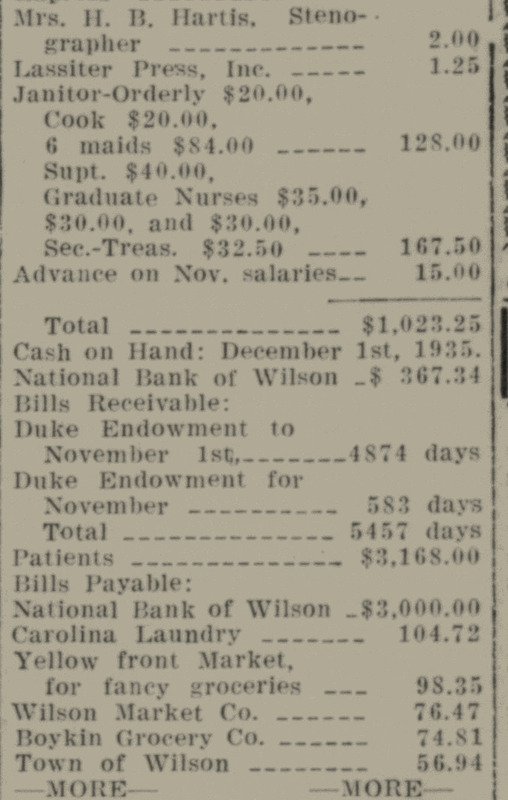 In December 1935, the Times published secretary-treasurer William Hines‘ account of the previous month’s financial operations. 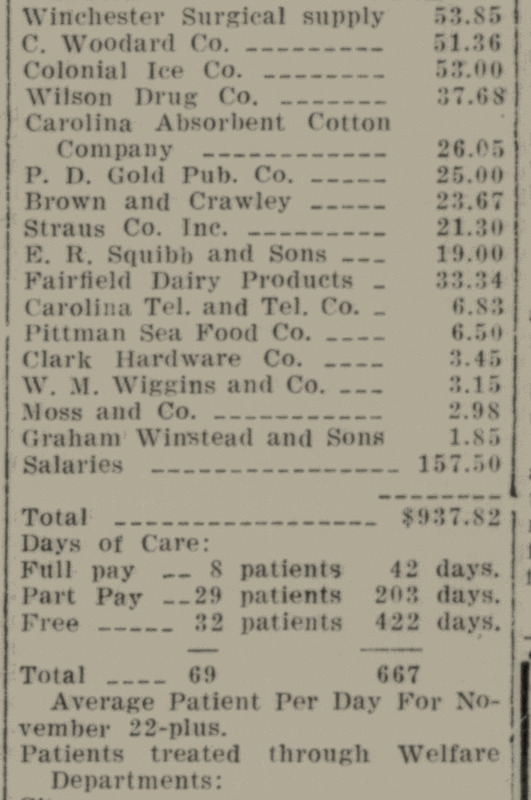 As is unsurprising for any institution during the depth of the Great Depression, Mercy Hospital was operating in the red. It began the month with just over $702 in the bank and ended with $367. Only $678 came through the door. 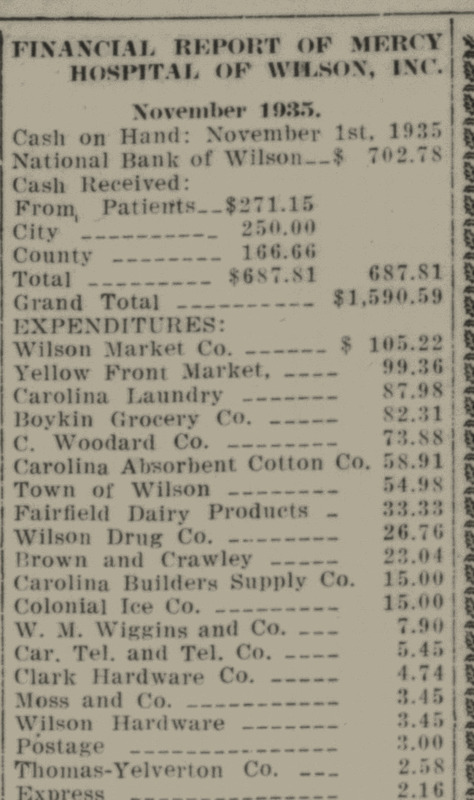 At $300, payroll comprised more than a quarter of the month’s expenditures, which also included major payments for groceries, laundry service, utilities and supplies. Mercy owed $3000 to a local bank and hundreds more to vendors (and employees.) Fewer than 1 in 12 of its patients had paid full-rate, nearly half paid nothing at all, and the hospital carried more than $3000 in unpaid patient bills on its books. 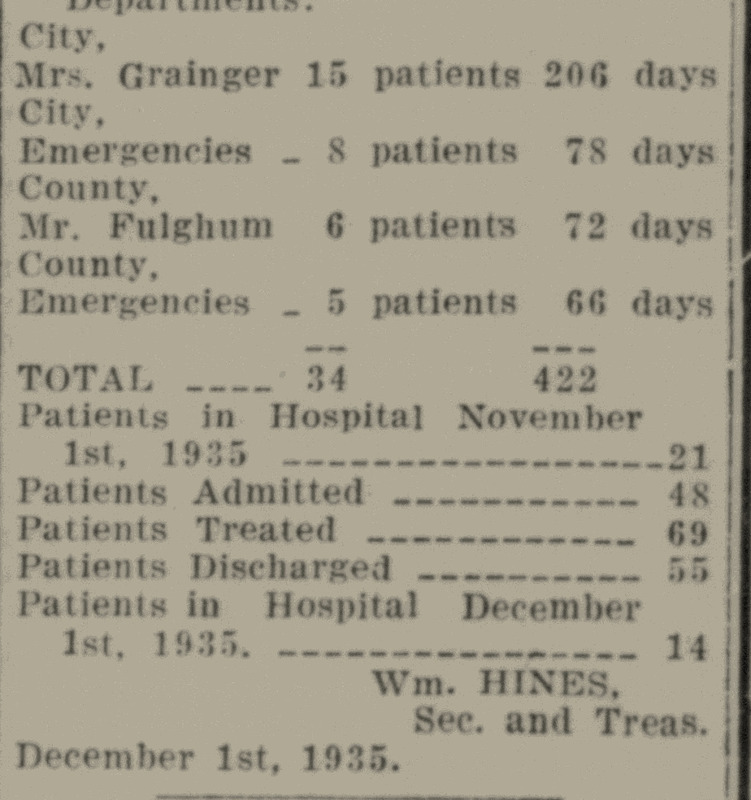 Wilson Daily Times, 13 December 1935. ← Wilson has lost an icon.